ShoreTV New Jersey Featured on NJBIZ – ShoreTV New Jersey – Watch It, Live It, Love It. ShoreTV New Jersey host Janine Strafaci was recently featured in the December issue of NJBiz! 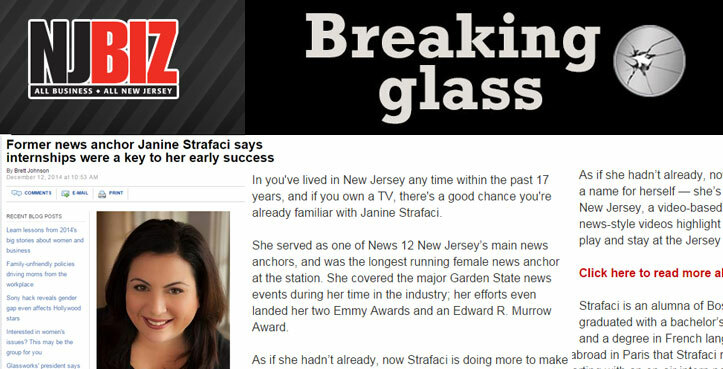 If you’ve lived in New Jersey any time within the past 17 years, and if you own a TV, there’s a good chance you’re already familiar with Janine Strafaci. She served as one of News 12 New Jersey’s main news anchors, and was the longest running female news anchor at the station. She covered the major Garden State news events during her time in the industry; her efforts even landed her two Emmy Awards and an Edward R. Murrow Award.